Have you ever wondered why some people are always lucky? How money, status or even party invitations come abundantly to particular people? A friend of mine just got a great job offer in Dubai out of the blue and accepted it. Another friend happened to get a job call without having to interview, just after his previous company closed down. I got invited to give talks at conferences in Barcelona, Geneva and London, from people I have never met before while enjoying the paid accommodation & travel costs. Lucky indeed! But I don’t believe in luck. Luck is something we invented to say, in other words, that people get what they deserve once in a while. So are you saying, Michael, that luck is something controllable? That I can build my own luck??? 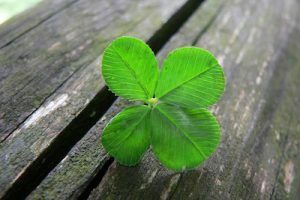 It turns out that YES, WE CAN ALL BUILD OUR OWN LUCK! How awesome is that? The actions that you take build your luck step-by-step. These actions compound over time into a massive invisible Luck Snowball coming your way and eventually hitting you. That moment of a Luck Snowball revealing its existence is what people see and call luck. 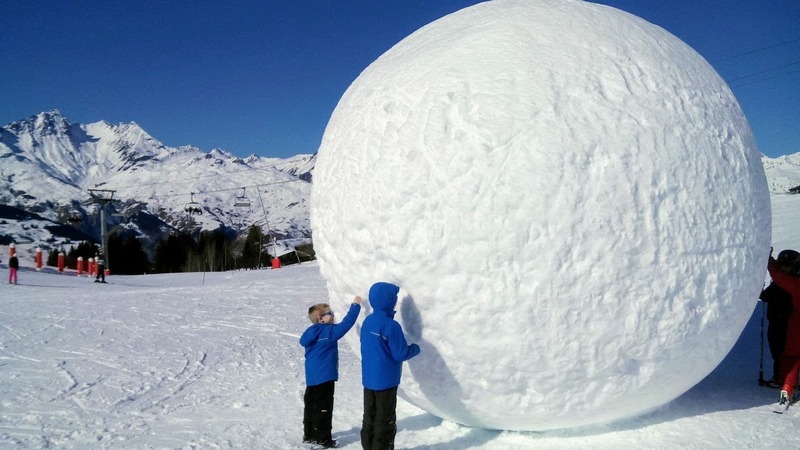 It also looks like this massive Luck Snowball grows bigger and bigger once you devote your energy and resources to what you want to achieve. To give you an example, in 2012, I decided to build a technical blog on computer programming. That came after an article I had read saying that people in my profession should show their skills as much as they can before an actual interview. This is because interviewing a programmer is quite a hard task, and even if you go prepared lots of things can go wrong. I had also failed to get a distinction grade at my dissertation, after spending the whole summer working extremely hard on it. Partly because of being afraid of not getting a job and partly wanting to gain some respect back on my low-valued dissertation, I started writing publicly about my projects. After a few days of publishing a 3-month work in a single blog post, I received huge publicity. I submitted my page to the Hacker News website, an industry leading webpage that people vote for the best daily articles. 7,000 people from around the globe read it and gave me positive and constructive feedback!! I was over the moon. My work actually mattered. After a few days, I got an e-mail from the CEO of Keen.io a US-based analytics company inviting me for a chat. I turned it down to join another company, thanks to a referral from a friend who knew I was looking. Getting my first interview was easy. I went fully prepared and mentioned how the article I had written on social media analytics was directly related to the marketing problem they wanted to solve by hiring me. Bliss! The interview went ok, they read my online work and hired me. I continued writing articles and then moved to London, enjoying a £100k salary. My blog had been read thousands of times and the European broadcasting union invited me to give a talk at their conference centre. I expanded my connections and more conferences followed. An ex-colleague I had kept in touch informally mentored me and gave me guidance. I am extremely grateful to have the above path in my life so far. But you see, each of the above little wins may look lucky to someone if taken individually. If you look at them as a whole though, are they? My mum thought, “oh, god bless John for placing you into a job without a proper interview just after uni. That was so lucky”. But it took time and energy to surround me with skilled people from the industry. Had I not been presenting to local meetups and helping people I’m sure that luck would not have hit me. This was the key to growing my luck snowball at work, not meeting John at a party. I strongly believe making your own luck is now relevant more than ever. Why? Because the number of people to whom you can expose yourself is big. What does “build my own luck” mean though? To me, it means showing and telling people what you’re capable of doing and then having random inbound opportunities coming to you at random times. Instead of you reaching out to meet someone or ask for something, let others come to you after knowing the value you can offer. Example: Let’s say you’re a drummer. You start writing about your passion and publish a few music videos. Friends and family find out about your work and you keep telling people about it. Some of them are interested, some not. Hundreds of people now see your articles and videos, all of whom share the same interests as you. After a while, a new band invites you to be part of it. Roland offers you money to place some drum ads and the local pub owner suggests you perform there live when you tell him about your passion! It turns out that the amount of luck we can build is directly proportional to the number of people knowing about it. The time and resources we put to expose our passion are secretly building a luck snowball that will eventually hit us. Whether we want it or not. So if you want luck coming your way, start your own blog, attend local groups and meetups and reach out to “unreachable people” with honest requests. In one sentence, tell the world about it! Your luck snowball gets bigger by either doing or telling. Even if you’re perfect at what you do but no one knows about it then there’s no point. At the same point, if you’re telling everyone about your passion but you haven’t worked on it, you’ll get the same poor results. But doing and telling people will increase your “oh, that was lucky!” moments. You will leverage the power of the people you know. One more person knowing about your passion will increase your luck exponentially. That’s because you’re not telling that one person what you care about, but you’re telling his whole “oh! I know someone who’d be interested” group. Take this blog for example. I reached out to a Reddit group asking for feedback, contacted a journalist after listening to his similar story on a podcast and told many people I know about it. Not only for the sake of building my snowball but because I’m so passionate about it and want it to be successful. It’s not about asking people for X,Y, Z. It’s about creating the assets (blog, video, talks) that will let other people reach out to you! Often in surprising ways, people will come to you with what you want. That can be job opportunities, gigs, business partnerships, moral support etc. That will increase your confidence as it did mine, and make you want to help even more people in return! Have you experienced luck that was actually small efforts compounded over time? Let me know! Now go out there and start rolling your own luck snowballs!